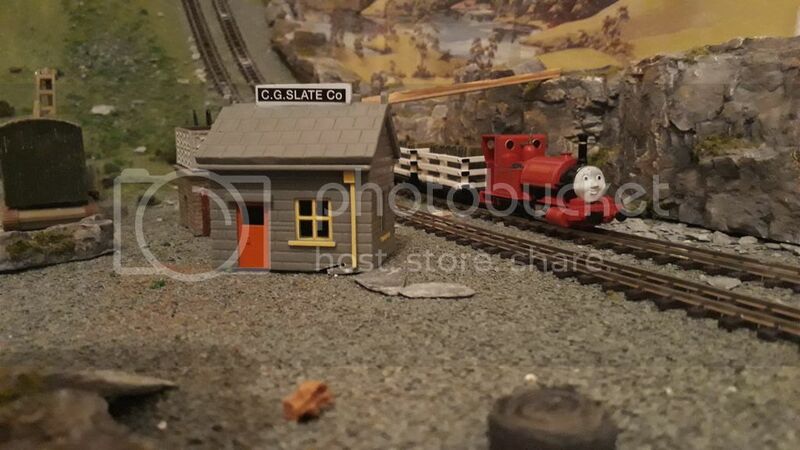 Well I'll be the first to ask... how does everyone feel with no new announcements for the Narrow Gauge Line this year? I for one am conflicted because in one sense, I am excited for Rusty and the NG coaches to be focused on and perfected, but on the other hand I am sad that they couldn't even come out with another wagon or brake van. I for one would have really loved to see the quarry trucks in the red and green colors used on the Blue Mountain Quarry. I would have also loved to see a conflat like the one Victor uses at the Steamworks. Anyway, I would love to hear your feedbacks from the announcements this year. Talk to you guys soon! At first, I was surprised and a little bit disappointed. 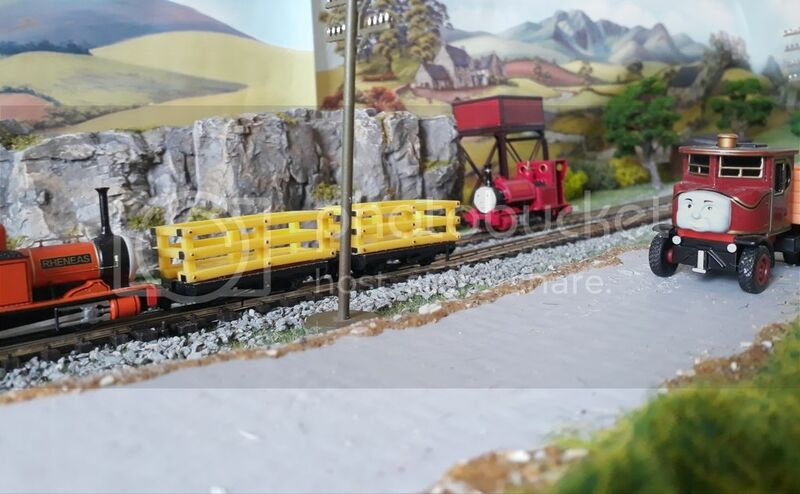 However, after remembering that Rusty has not been released yet and that the coaches are still in the working stages (hopefully with two different toolings ), it is understandable that no other narrow gauge products were announced just yet. 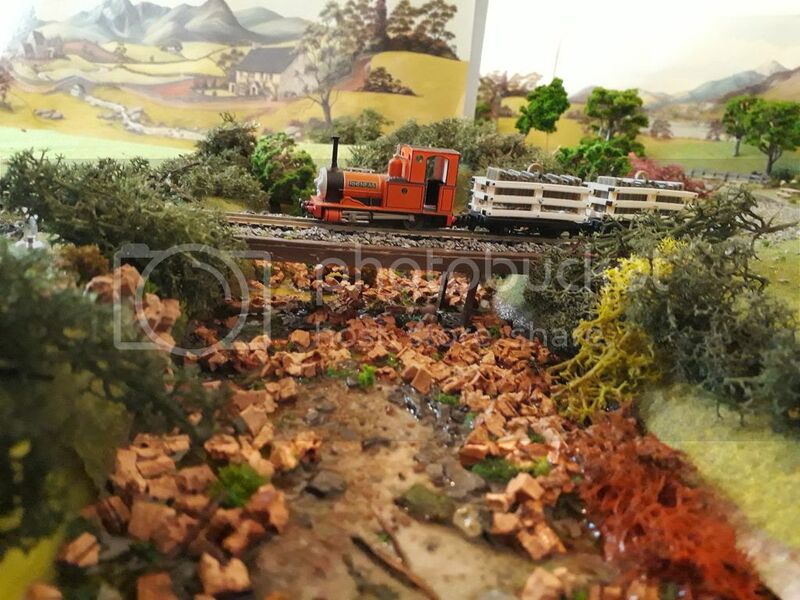 I highly doubt that this is the end of the narrow gauge line, as so many people are interested in seeing more products (Sir Handel, Peter Sam, and Brake Vans in particular). Yes, I was very disappointed in this years announcements too. Specially when there were NONE for Narrow Gauge! The more I think about it, considering what also happened with Large Scale and HO Scale as another person posted here earlier, that Bachmann has figured out that they should no longer be posting new release information here until a project is well along in design and ready to enter production. To accomplish this there would need to be a year or two with no new announcements which is exactly what is happening. This might also result in less insane speculation on this forum. An example of this is how Bachmann has just announced the new N Scale line and already people are speculating on what might happen in 2020. Sorry, just my two cents worth. On another note my Freddie project is almost done and all I need to do is mount the name and number plates. When complete I will take some photos and post them here. At least we still have Rusty and the red and blue coaches to look forward to this year. Well said Grandpuff, it gives us more time if anything to get Duncan finished and maybe the other engine we talked about the other day last week. I’m sure Rusty and the coaches will be great when they finally come out, and hopefully by next year we will have some more exciting announcements... even if they take another two or so years to come out. So I'm not sure how many of you are familiar with my work. 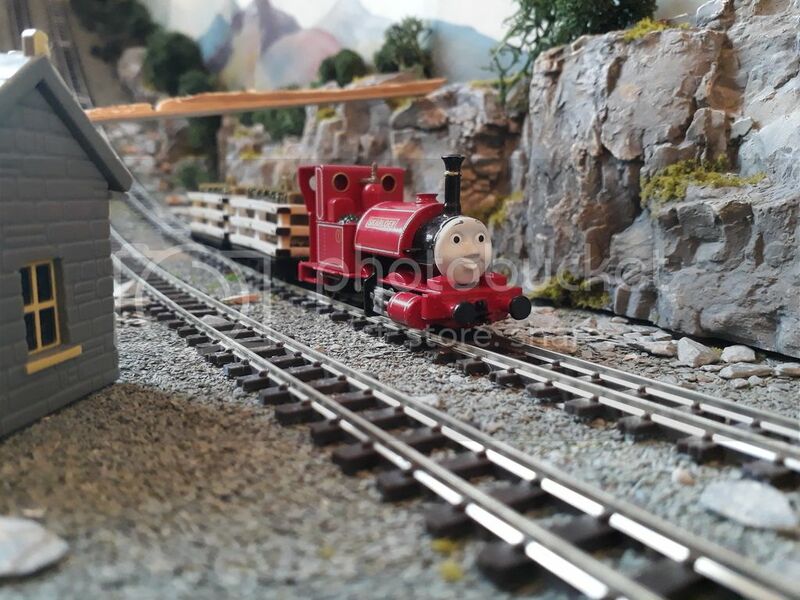 I am currently building a layout based on the Skarloey railway which is sort of a mash up of season 4, 6, 7 & 18. 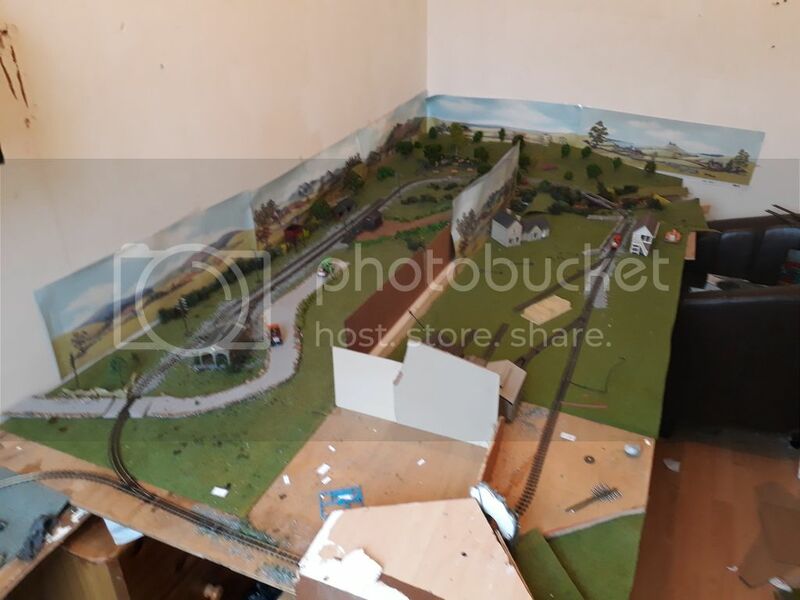 Here are a few photos of the completed sections of the layout so far. Lastly the road way again based off series 4-6 and my own sort of ideas. 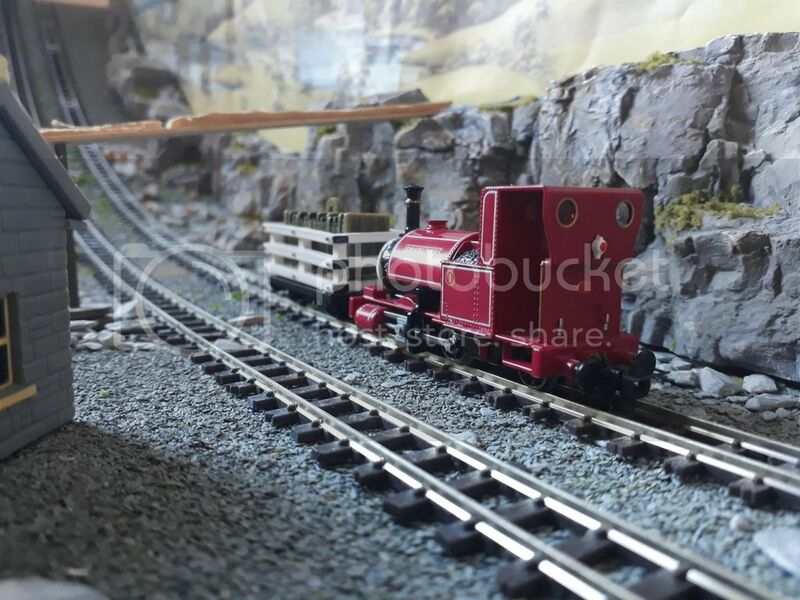 Been meaning to ask, Anyone know where i can get spare crankpins for Skarloey? Or maybe some potential replacement ones off an N scale model, ie, one with crankpins that actually screw in? 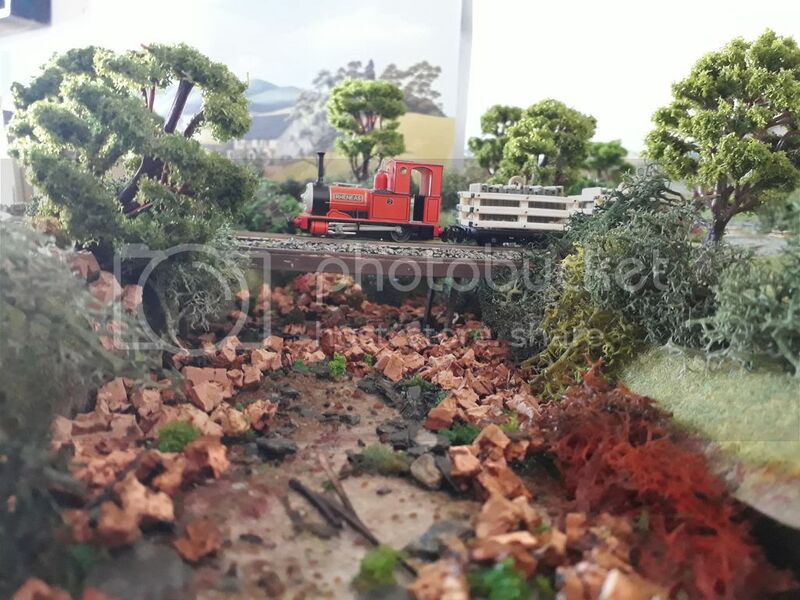 As noted in my last post, I have just completed my Freddie narrow gauge loco today with the addition of the Narrow Planet name and number plates visible in my photos which were taken on my Narrow Gauge layout. This was a difficult build because of problems with the 3D printed body being very fragile and subject to breakage. 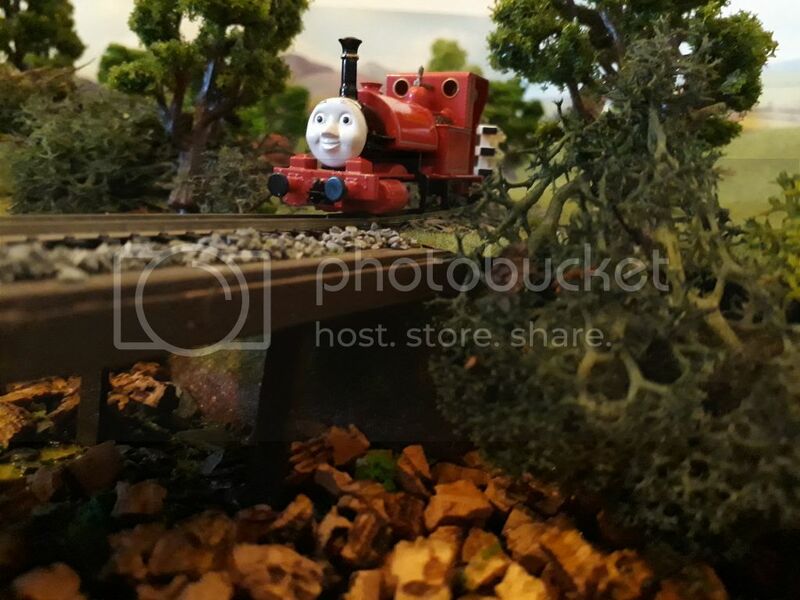 You can also see my recently completed Peter Sam in the background of one photo. With the lack of any new Bachmann Narrow Gauge announcements I am fortunate to have the ability to build my own versions of the Narrow Gauge Locomotives as place holders until they are hopefully produced by Bachmann someday. I will however not speculate here on when that might happen. I have just started a special project for a friend on this forum and when that is finished I will be starting Luke and then Millie since I have been able to locate suitable chassis for these models in the EU although at a very high price. here for both layouts and rolling stock instead of endless speculation on what might happen one, two, or three years from now. So lets see some photos of the work I know you are doing out there. A great example is Mulfred-100 post proceeding my post. Thank you very much and please some more progress photos of your work. Very nicely done. Very impressive work mulfred-100 and grandpuff! 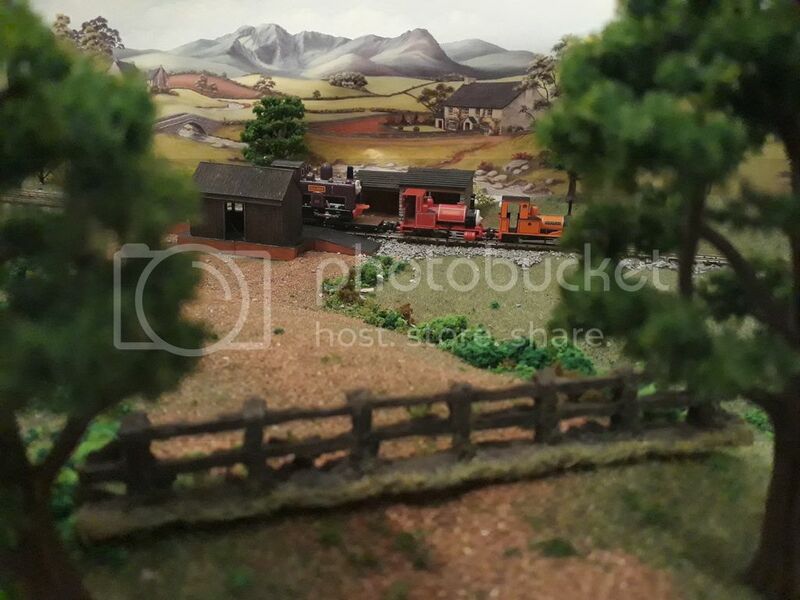 I'm happy to also state that I will be starting one more expansion to my Sodor layout this summer! 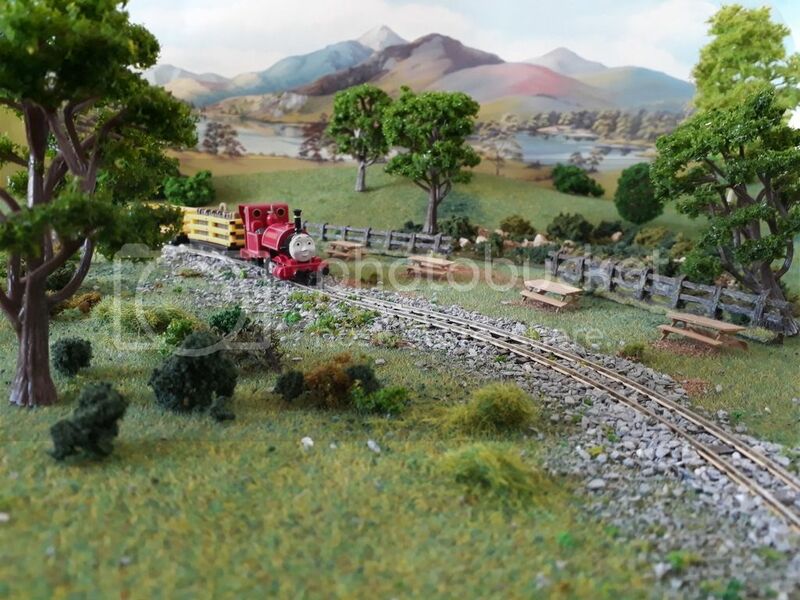 It will consist of Crovan's Gate, Rheneas Viaduct, the Slate Incline, and Bertram's Old Mine (or Boulder Quarry). Hoping to squeeze in the castle causeway if I can too . Looking forward to posting pics once the project begins! Thank you very much everyone. Here is a bit of a layout update. I apologise if this is long winded. 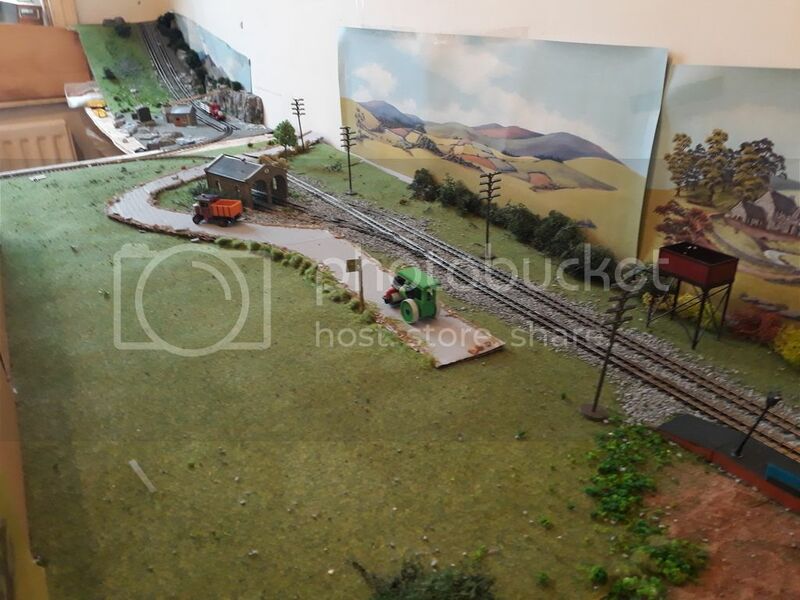 Firstly here is a overlooking shot of most of the layout excluding the quarry as it's to the left of this photo. As you can see I've sectioned off down the middle to make it easier to film without other locations creeping into the background. 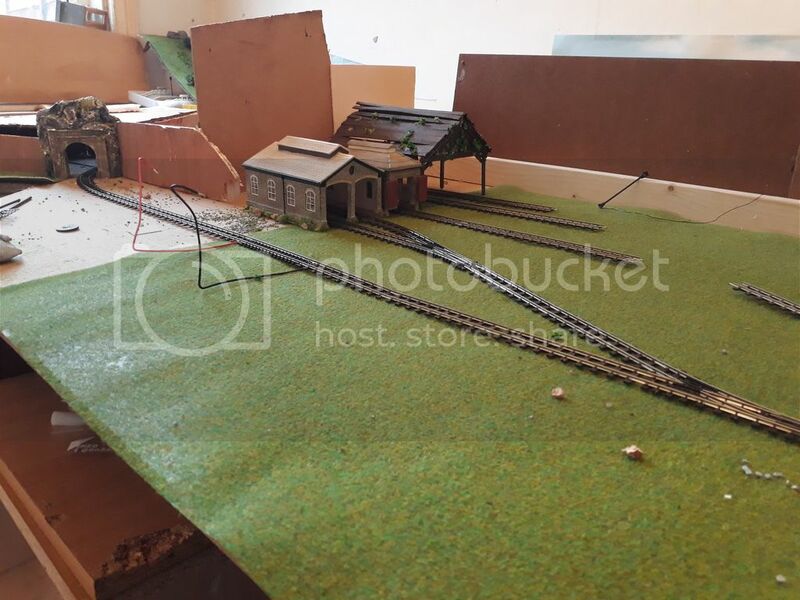 I have added the sheds and part of the track for the depot just wating for the other points and curved sections to arrive in the post. I have begun adding walling around where there will be a cottage situated as illustrated by the station building off maithwaite. 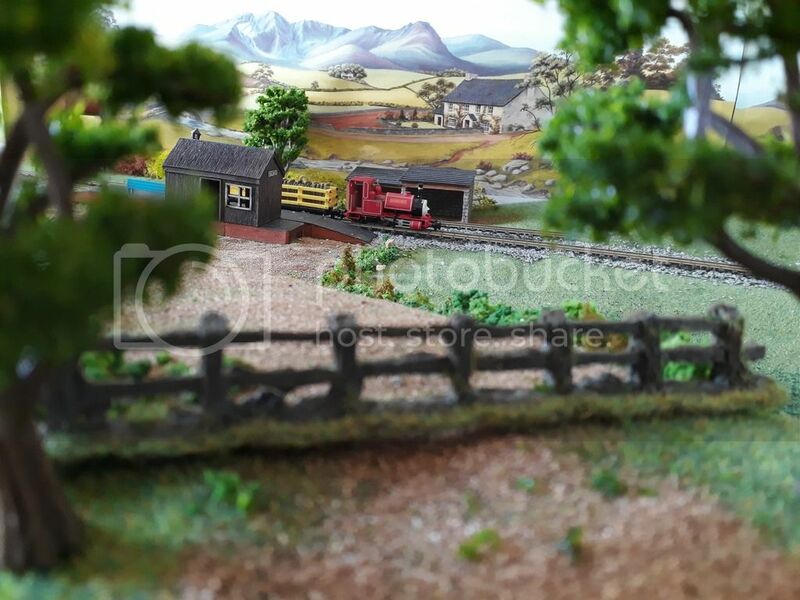 Here again I've added more foliage and the shed that will be similar to the one at Rheneas station. By the river I've added foliage a long the bankment on either side. I am waiting for some more trees to arrive so then this section can be completed. Note that is real water and I can drain it and refresh it very easy. Quarry again just adding foliage along the tops of the rock faces giving it that series 4-6 feel. So that's pretty much it for now. As I've said I'm waiting for a few items to arrive in the post. I'll be ordering a few more parts on Monday but that will be rolling stock. Sorry if this has been a long one. Love the layout so far mulfred! I was wondering where you got those two-engine sheds? They look very accurate and nice compared to what I have seen. Thanks! Grandpuff just wanted to say that your Fearless Freddie looks amazing! Always love seeing the beginning till the end with your projects and can't wait for the projects to come! 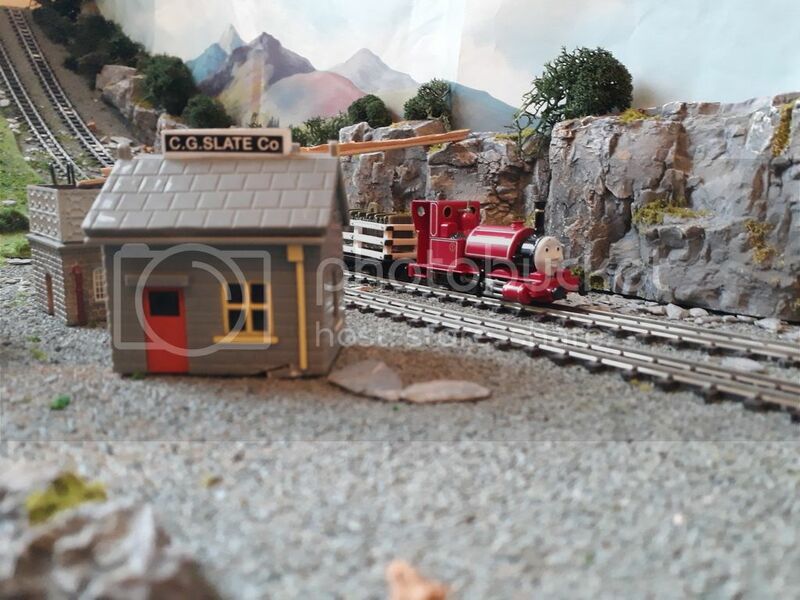 The two sheds are from the lydell end collection from skaledale (hornby), they are N Scale so do need modifications to fit skarloey and rheneas comfortably but they do look really nice once on the layout. I thought I would post a progress photo of the 3 Narrow Gauge locos I am working on that I mentioned in my last post. All 3 of these locos are now ready for paint if I can get the weather to co-operate. The paint caps show the colors that they will be painted. The loco in the middle is a copy of Peter Sam that I built last year. I am building this one for a friend since it is now likely that it will be a few years before we ever see one from Bachmann. The loco on the left is Luke. I have added the short doors to the cab of this loco so it is now ready for its lime green paint, then white lining, name, and number 22. An Engineer and a small deer figure will complete the model. On the right is Millie. This loco required a lot of work installing the cab doors, filling in the upper back of the cab and adding the rear windows, and lastly building the tapered coal bunker to the back of the cab. The stock loco is a perfect model of Millie from the cab forward but I had to build up the rear of the 3D model to accurately represent Millie. I still need to finish fitting the loco to the chassis on this one. Finishing this loco will not be easy as there is a lot of white lining and gold trim to do. I will be using photo copies of the Coat of Arms and white script Millie for this loco. I hope you all have enjoyed seeing my progress on these 3 locos and I will post photos of each as they are completed. When these are all finished I plan on doing a Sir Handel and a Proteus. When these are all completed I will have a collection of 12 of the most well known Narrow Gauge locomotives to run on my HOn30 layout. 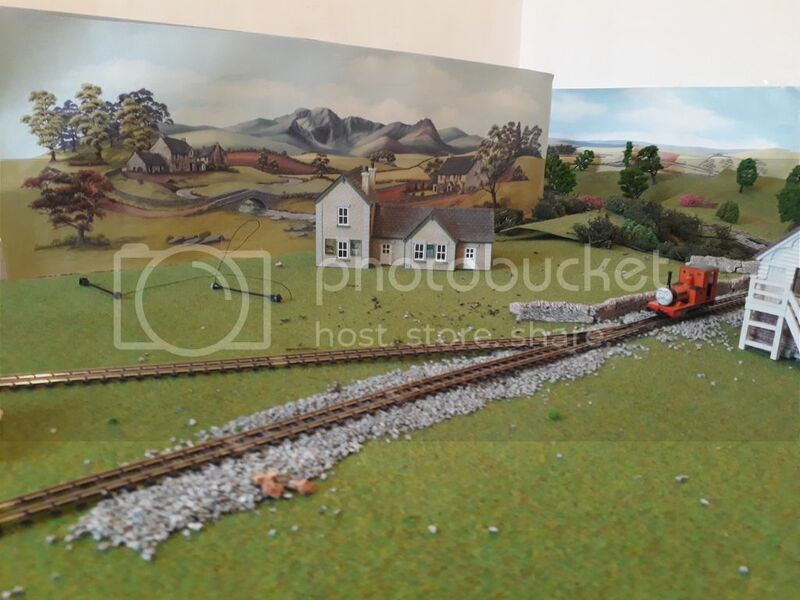 I am looking forward to seeing layout progress from Terrancethetractor525 of the addition to his very nice layout, layout plans from Chaz of his planned narrow gauge railway, and more from Mulfred-100 of his layout. Also any one else out there, do not be bashful, show us what your are doing too. We can all learn new things when we share with others. They look great grandpuff can not wait to see more progress on these models, as well as everyone else's projects. Quick update. I have added more trees to the river scene. Waiting on more arriving from China hopefully in the next few days to add to the back ground. Don't worry I'll only be adding maximum of 4. Don't want to over do it. I also need to order a couple of water towers off shapeways, just to finish this part off. Since I had some good painting weather today I was able to get all 3 locos referenced in my last post painted. 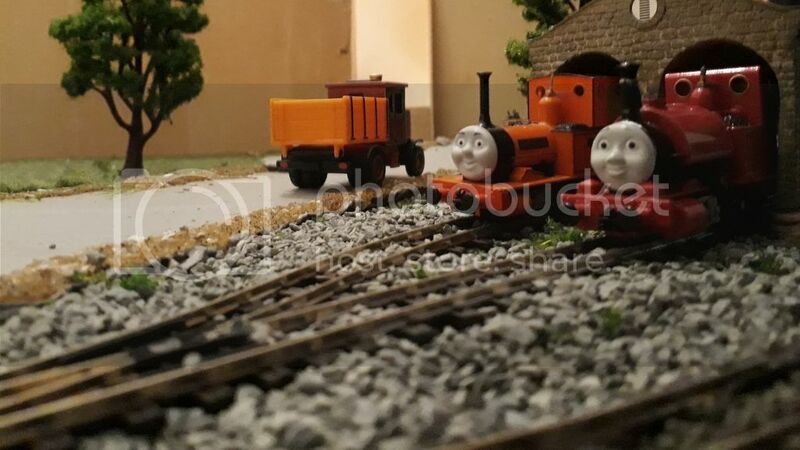 Shown in the photo on the left is Peter Sam, middle is Luke, and on the right is Millie. I will post additional photos as each loco is finished. I just completed my Luke model so thought I would post a few photos so everyone can see how he turned out. This is a very small locomotive to work on although not as small as Millie which will be finished in about another week or so. The body is from Shapeways and the chassis is from a Minitrains 0-4-0. The white lining is from Line-O-Tape from Mega Hobby. The Brass name and number plates are from Narrow Planet. I used a brass name plate because I could not hand letter the Luke since it was so small on this tiny locomotive. I also included an Engineer figure along with a baby deer figure as seen in the Season 17 episode "Lukes New Friend". I hope you all like my model of Luke. I will post some photos of my Millie model as soon as it is finished in about a week or so. After Millie is done I plan to do Sir Handel and Proteus as soon as I can gather all of the necessary parts.